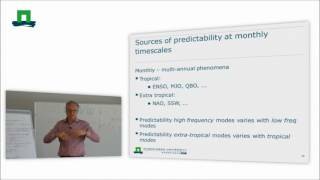 This lecture is based on the presentation about seasonal prediction of climate and its impacts, given by Ronald Hutjes (Wageningen University) during the Climate Services Training Workshop at Wageningen, the Netherlands (13-15 March, 2017). The C3S SIS on water management 'SWICCA' Demonstrator was one of the topics in this lecture. 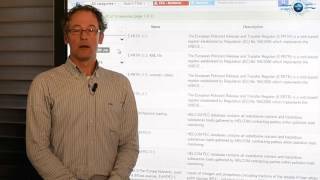 This tutorial is based on the presentation given by Ronald Hutjes (Wageningen University) during the Climate Services Training Workshop at Wageningen, the Netherlands (13-15 March, 2017). The C3S SIS on water management 'SWICCA' Demonstrator was one of the four tools demonstrated during this course, where the participants worked hands-on to find, access, process and analyse climate data relevant for their use case. Ronald Hutjes explains what this C3S service product is and compared the site and tool with others, as an introduction to the 2 hours during hands on session and discussion. 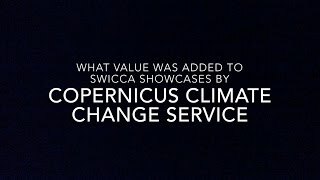 This video highlights the findings on the use of the SWICCA Demonstrator which were discussed after the Hands-on session with 22 participants of the Climate Services Training Workshop at Wageningen, the Netherlands (13-15 March, 2017). 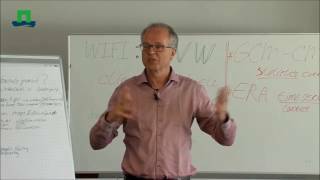 Ronald Hutjes lead this discussion session . 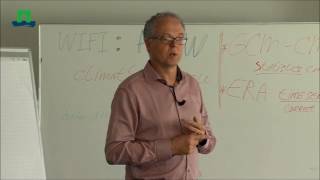 This tutorial is based on the presentation given by Hasse Goosen during SWICCA Training Workshop at Wageningen, the Netherlands (6th - 7th April, 2016). It explores how to identify the needs of users of climate services. This short guide explains the functionality of the map interface, which displays spatial patterns of change in climate impact indicators across Europe. Introduction to needs for climate adaption in cities and needs to downscale climate data to local conditions.